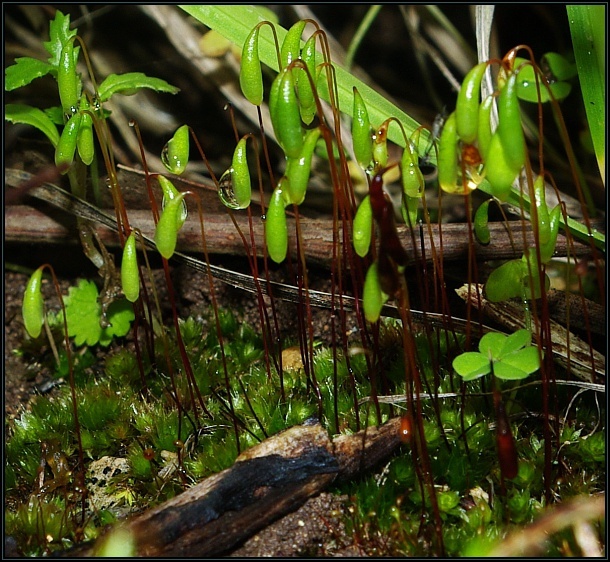 The bryum moss (Bryum capillare) is a common moss found growing on rocks and walls. It is easier to identify when the capsules are present (in spring). The capsules are rounded, initially green, bent downwards with a red stalk. The small green leaves are pointed.